** READ FIRST ** I’m aware. The rules may seem complicated and confusing. Please realize this though, the best way to understand them is to simply observe the chat rooms in motion. Read the rules, but if you are feeling overwhelmed afterwards, just know that after a few days of sitting back and watching, the dynamics will become much clearer. Please make sure you fully understand these live chat room rules and guidelines as they have been put into place to help the team be efficient, and therefore, more profitable. The Inner Circle’s primary goal is to better ourselves as traders and build large portfolios. In order to make this a reality, a professional environment must be implemented and maintained. There are three separate chat rooms. The “trading chat rooms” (which are discussed below in more detail) are where alerts are made. The “hangout room”, known as The Trader’s Lounge, is where general chitter-chatter about really whatever takes place. The only rule for the lounge: no talk of politics or religion and keep the language as if your grandma was sitting next to you. The trading chat rooms (Trading Pit Over $1 and Trading Pit Under $1) MUST be kept professional. 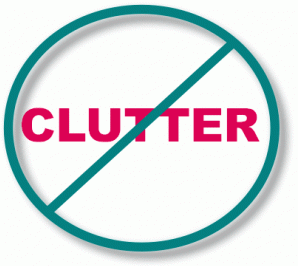 A professional and efficient environment is NOT filled with clutter. In this case, LESS is MORE. Once again, LESS is MORE. Failure to adhere to the following rules will result in account termination, in which, there will be no refund given in any shape or form (Refund Policy found HERE). Per SEC rules and regulation, I am not an investment advisor. With this being the case, DO NOT ask me to look at your watch list / portfolio. That is the job for an investment advisor (which again, I am NOT). These rooms should be treated as a professional trading floor, meaning, alerts only. There will be zero off topic chatter allowed. Questions – and I mean ALL questions. The chat room is NOT for questions, only statements. If you have a question, the place to ask it is The Trader’s Lounge. Taking what is discussed and then putting it out on social media, message boards, blogs, etc. is prohibited. You along with others have paid for this discussion, so we need to keep it private. If the press release is older than 15 minutes, DO NOT post it. It is TOO LATE at that point. The market is a fast fast moving environment, and after 15 minutes, it is “old news”. I take this very seriously. If you are caught trying to imply that a ticker symbol has “breaking news” and it is actually more than 15-minutes old, you will either receive a final warning, or termination. Trying to mislead the room with “old” news (if it is over an hour old, you are gone for sure) will not be tolerated. We all have data feeds (if you do not, you should not be trading). Repeating the same ticker over and over again to describe the action on it is off-topic. Alert the stock, and leave it at that. We don’t need to know every single time it upticks. The room is not for what price you are bidding, selling, holding, thinking of buying, selling, etc. The room is not for what gains/losses/breakeven you have gotten on your shares. These kinds of comments are 100% acceptable for The Trader’s Lounge. I really do love hearing about your trades, but within the Trading Pits, it creates clutter. Therefore, by all means, share your trading with me/the group in The Trader’s Lounge room. If I warn you about not following the rules, DO NOT REPLY. This just creates MORE clutter. “Sorry”…. “My bad”…. “Won’t happen again”… “I understand”… etc… do not say anything like this — it creates MORE clutter. This is a technical charting group. I don’t care about fundamental research/thoughts if it takes more than 2 sentences to communicate. In other words, DO NOT use “!” in the chat. Make “statements”, not “exclamations”. “Go baby go!” “BOOOOM!” “It’s running!” – this is all clutter. Remember – LESS is MORE. In order to avoid clutter, we don’t need massive blocks of paragraphs or anything else dropped into the chat. Again, using news as an example, no need to copy and paste a paragraph of a news release, either summarize it in less than 2 sentences, or tell us and we can go find it ourselves. These are not alerts. Stocks make new highs and new lows all day long. With this being the case, these types of alerts simply carry too much potential of creating “play by play” commentary, which is against the rules. When referencing a stock, please use ALL CAPS (no need to place $ in front of stock). Specify which time frame you are referring to. The room has traders of all sorts of strategies… day traders, scalpers, swing traders, etc. Because of this, all these people will be using various time frame charts. The different is subtle, but at the same time it isn’t because knowing the time frame makes ALL the difference. Revealing any material from paid courses. Paid courses are a SEPARATE product from The Inner Circle, and therefore should not be discussed in regards to “what” they teach. Not even for a news release. If someone has news, then just say they have news. We all know where to go to find the news. Do not ask me if “such and such” a link is okay… here is my answer: NO, it is NOT okay. No changing of any color fonts. Everything needs to remain “black and white”. Use of foul language, racist remarks, offensive language in general. If you would not say it in front of your grandmother, then don’t say it here. Soliciting and talking about other services. No posting of links, websites, etc. for other services. This includes talking about social media of other people (in particular, Twitter personalities). There is to be no sharing of your account. Sharing of your user name and password with others will result in immediate account termination with no refund granted.